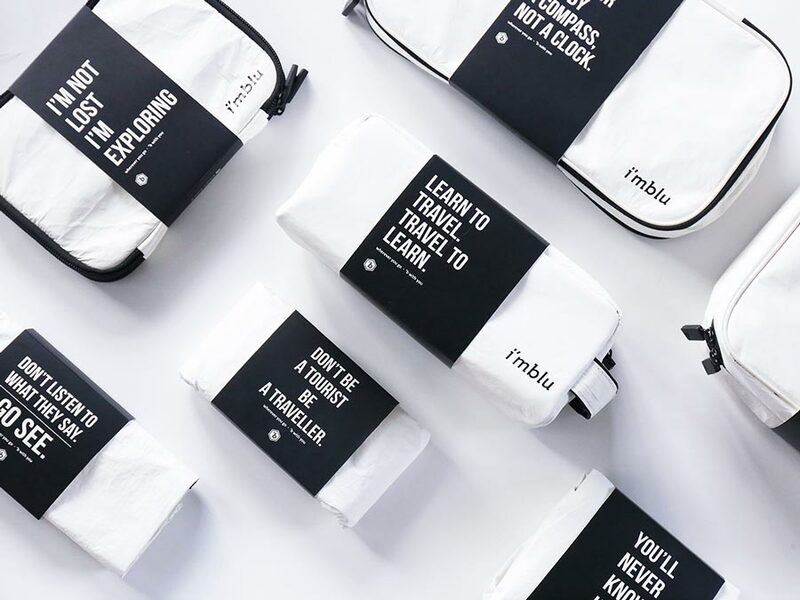 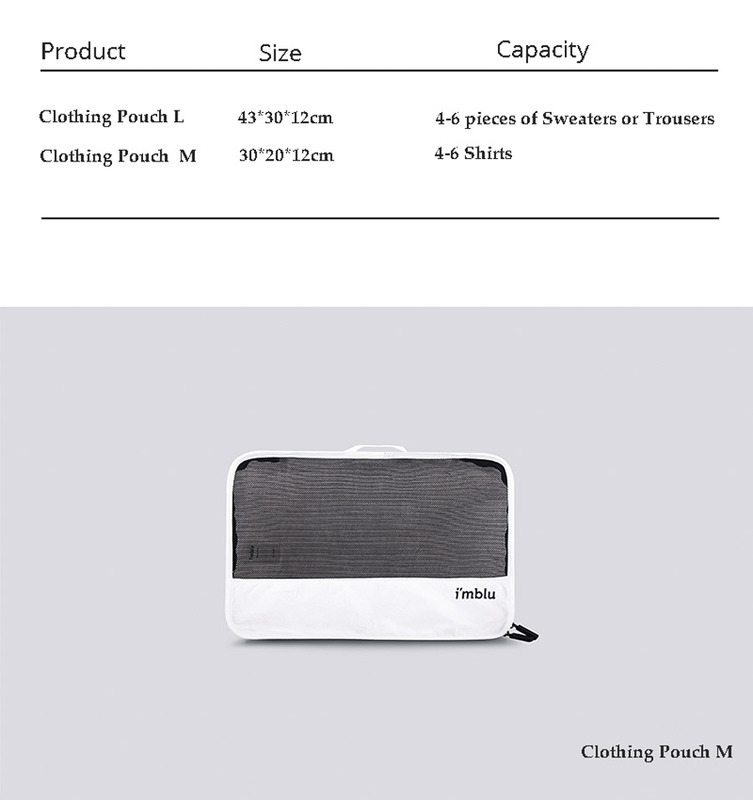 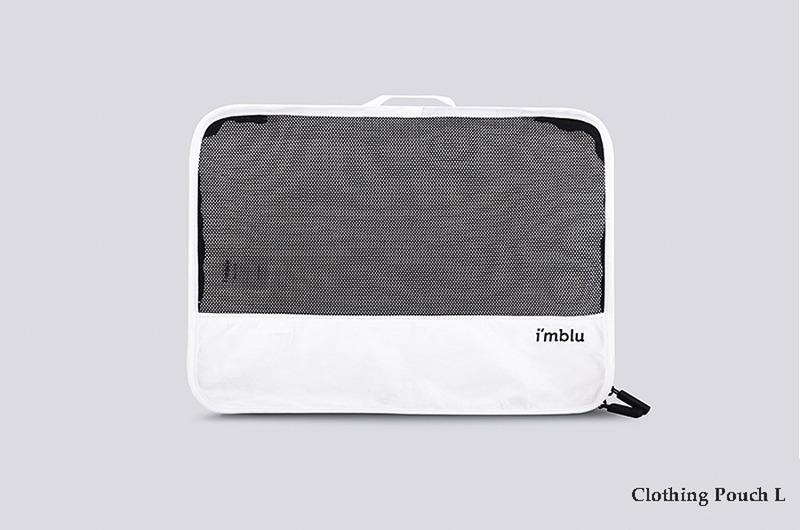 If you’re looking for an affordable, minimalist quick storage travel solution for your clothes, try the Clothing bag. 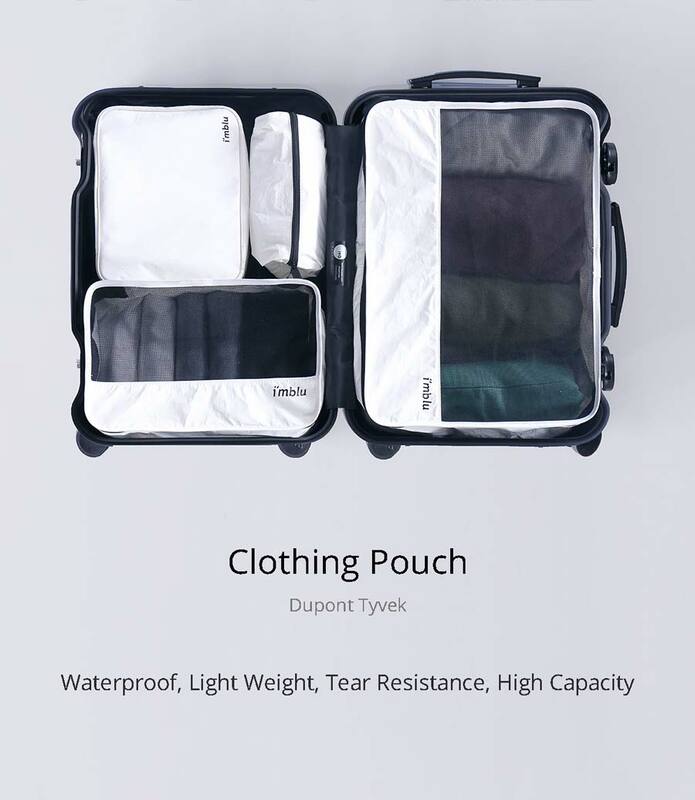 Available in two premium sizes (medium and large), this high capacity storage bag for clothes provides an efficient, lightweight and waterproof alternative to chaotic compartmentalisation. 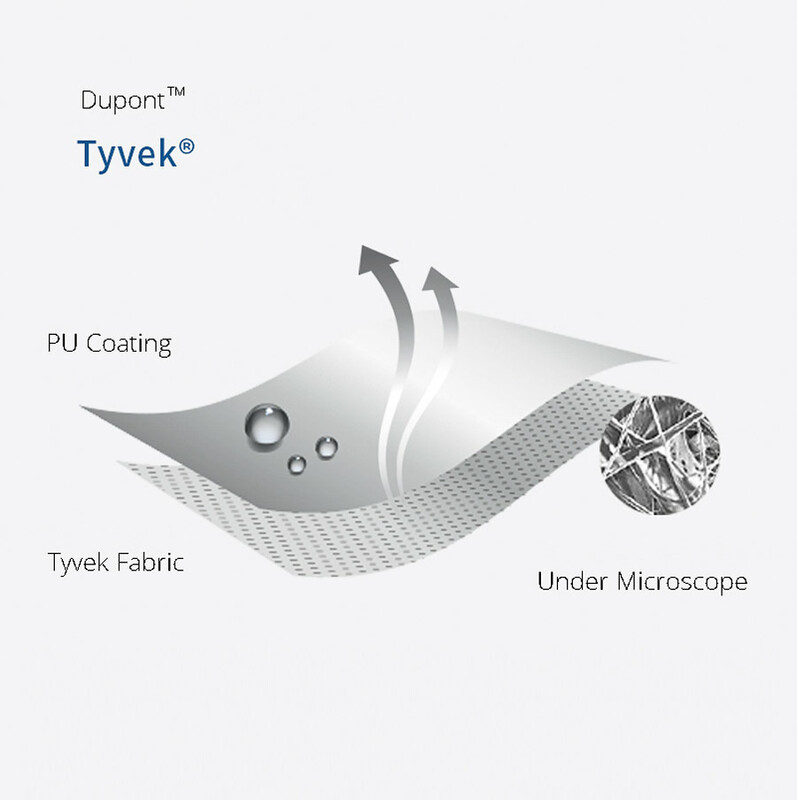 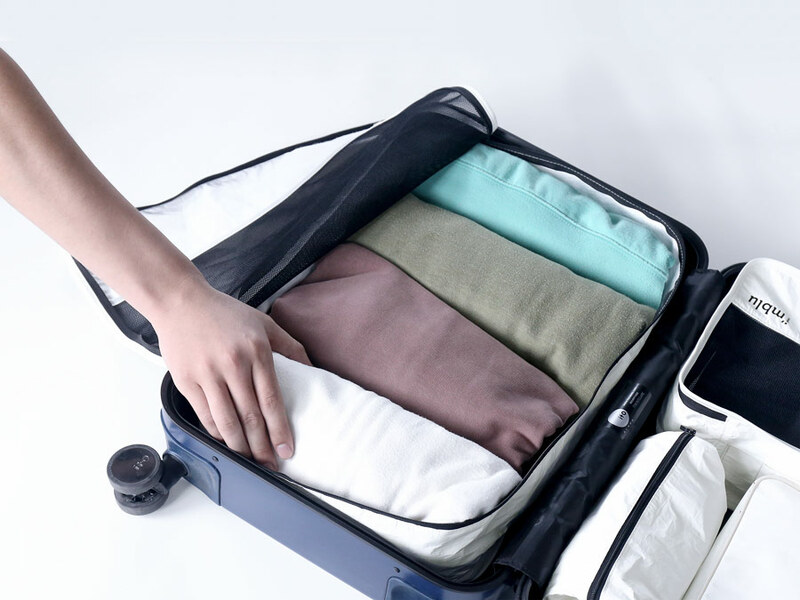 Choose your size pouch bag, and fit up to 4 – 6 shirts, sweaters, or trousers, using a ‘roll and fold’ luggage packing method. 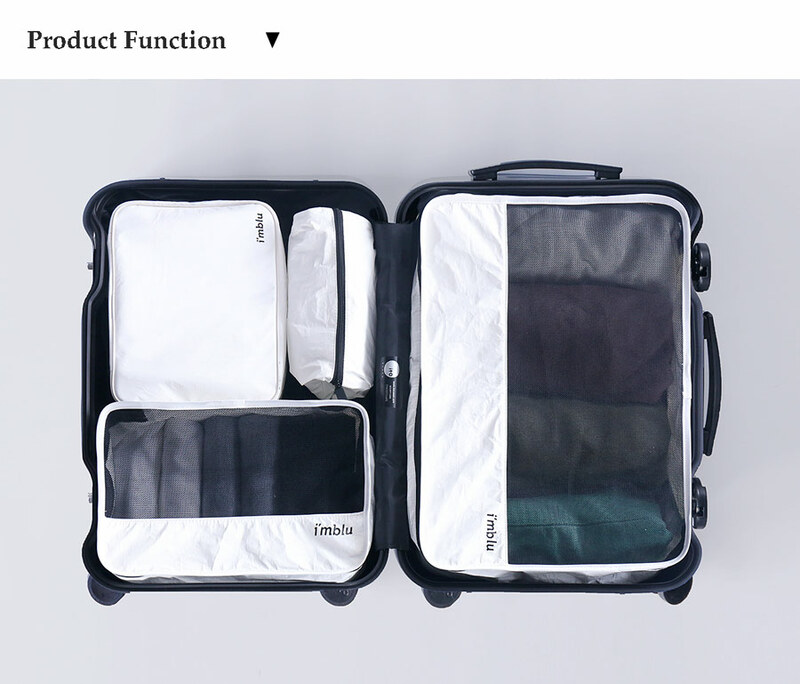 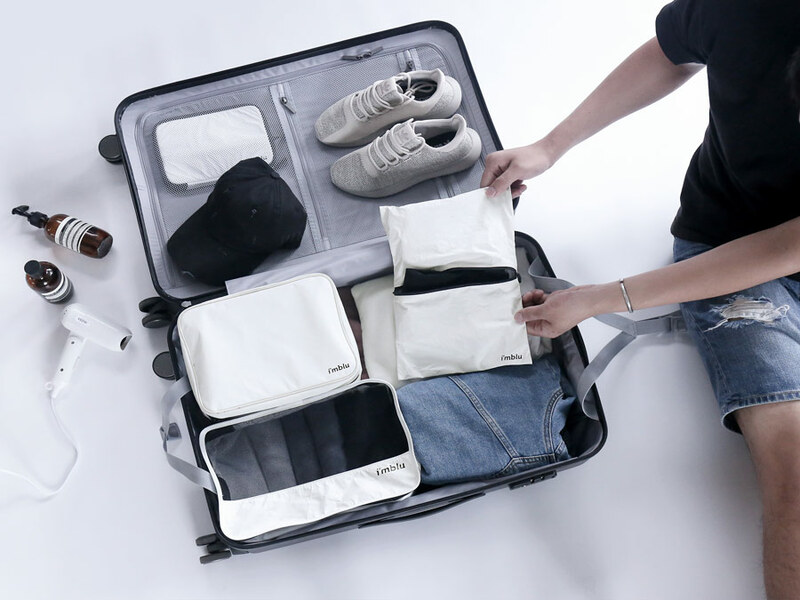 This luggage organiser is made out of high-quality Dupont Tyvek, and features transparent interior pockets for separated garments, a convenient carrying handle and roller wheels for easy transportation.